National Poetry Month came late to my students. 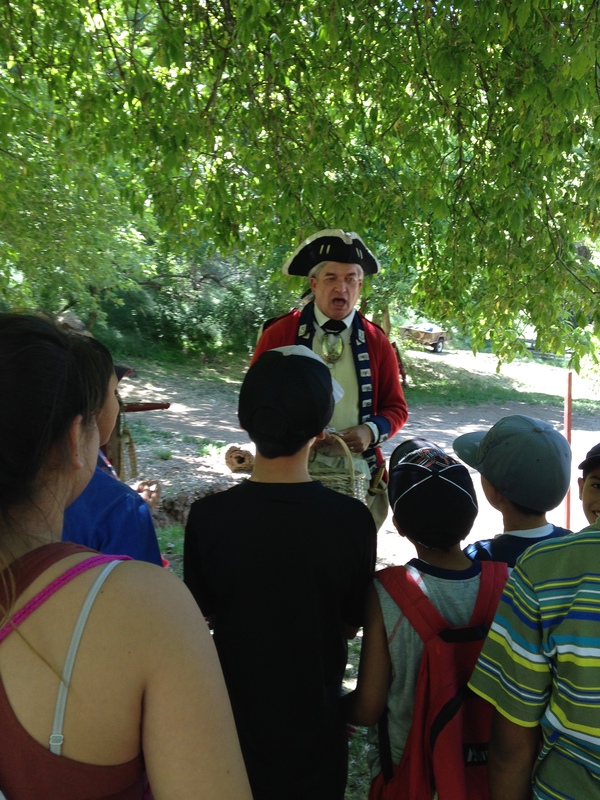 Spring Break and a field trip conspired to make yesterday our first classroom school day of April. Poetry had to wait too. Or did it? We’ve been reading Locomotion by Jackie Woodson a page at a time. Students annotate their copy with what they notice, know, and wonder. I read it aloud, they write, we share, I write their thoughts on my copy. Poetry has engulfed us daily — the sound, the structure. We’ve been looking closely. The power of their thoughts. Unfiltered. All from the word poetry. They know so much. Little snippets of poetry snuck up on them with The One and Only Ivan. Then Woodson’s beautiful words showed the many ways poetry could go. 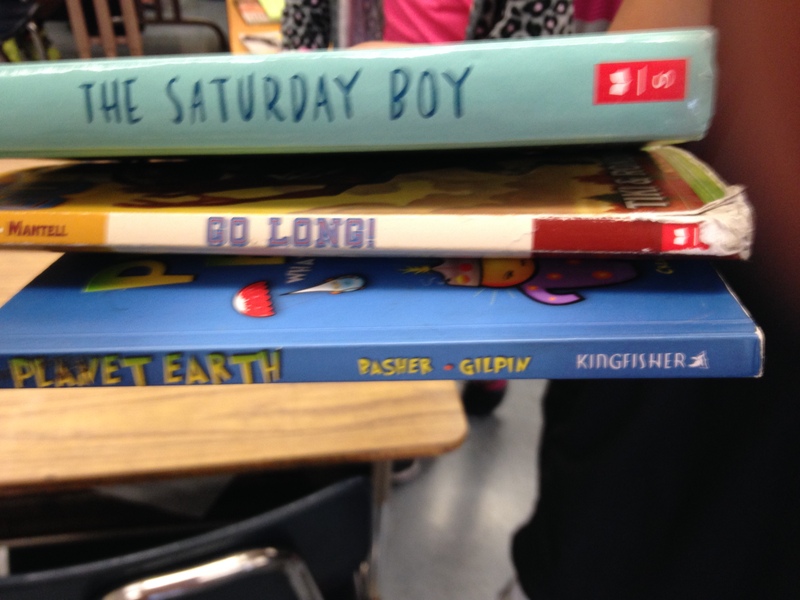 Students have read May B, Brown Girl Dreaming, and The Crossover and begged for more. Poetry has been with us all along. What follows is some erasure poetry from this post. Last year Dana introduced this writing to me. I took my post copied it and started deleting words that didn’t contribute to what I thought was the essence. I don’t allow myself to change the order. I can just erase and change line breaks. 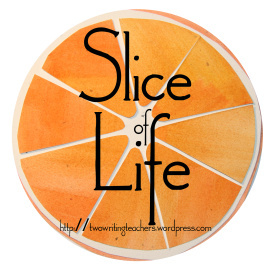 Thanks to Anna, Beth, Betsy, Dana, Stacey, and Tara at Two Writing Teachers for Slice of Life Tuesdays. Read more slices here. Notebooks are full of poems and are being published in REAL books with hard covers and paper pages, 28 of them. Publishing on the blog is still happening, but a book is something that can you can put on the shelf. It’s something that will be there over time. My book is full of my imagination and it moves this way and that way because that’s what my mind does. This is me. 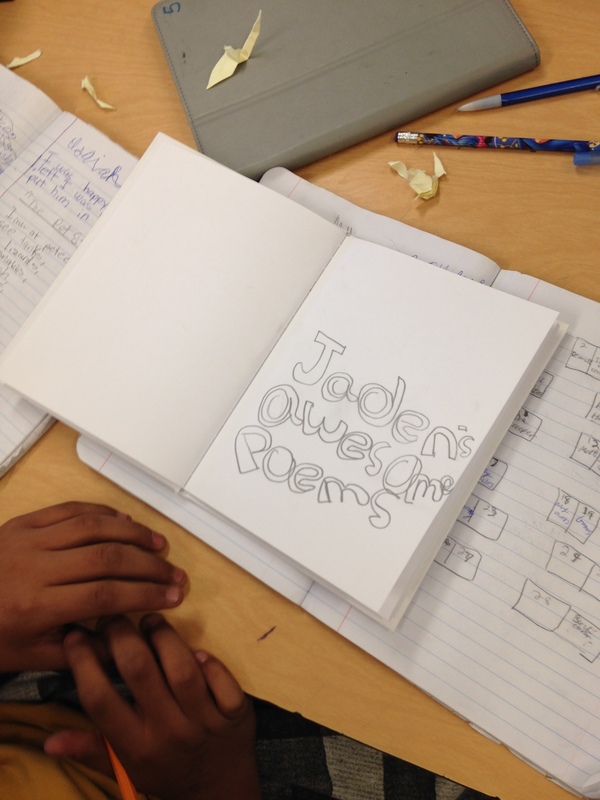 Clutching their mentor poetry books, students planned their layout: sections, a title page, table of contents, dedication and about the author pages. Once planned they got a white bare book and took off with “old school” creation tools: pencils, erasers and notebooks that allow room for more development. Some are confident in their artistic abilities, others who say “I don’t draw good” need some coaching. Some script is big and bold, others small and curvy, but all are asking each other, “Can you read this?” and “how do you spell…” The novelty of this publishing tool seems to have focused their thinking around things that usually don’t get their attention: presentation and how the reader would read their work. This is an outcome I didn’t expect. Perhaps it is the mentor books that has inspired this focus; perhaps it is the real book publishing environment; perhaps it is a combination. Whatever the reason, passion for poetry is high. They want their words on the page to reflect and highlight what their imagination sees. Here’s to celebrating creating books of poetry. 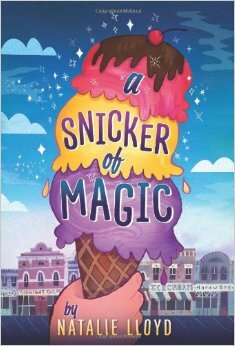 We started A Snicker of Magic by Natalie Lloyd this week. With only four weeks left and lots of activities planned, I’m worried that we will have enough time. We will make time because I want the magic of read aloud to fill our classroom one more time before they go off to middle school. This reminds me of Winn Dixie. The mom is like Opal’s dad. The lozenges , remember the sadness. Yeah it was a symbol. What could be a symbol here? Ice cream? She’s a country girl like Opal. She’s a poet like Ivan. She sees words like Melody saw colors in Out of My Mind. Oh my. I didn’t expect these connections. I didn’t hint at them. I didn’t make them. Students were bursting with ideas. They are full of wonders and connecting ideas to texts. They are wondering about symbolism in chapter two! They are aware of the possibility and are on the look out for it. They know this is how books go. And they may revise their thinking, because that is what readers really do. 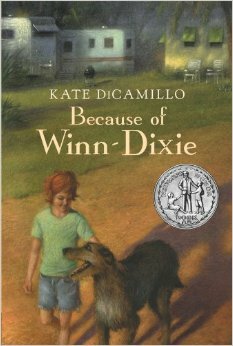 We read Out of My Mind and The One and Only Ivan this year, but these students read Because of Winn Dixie two years ago. 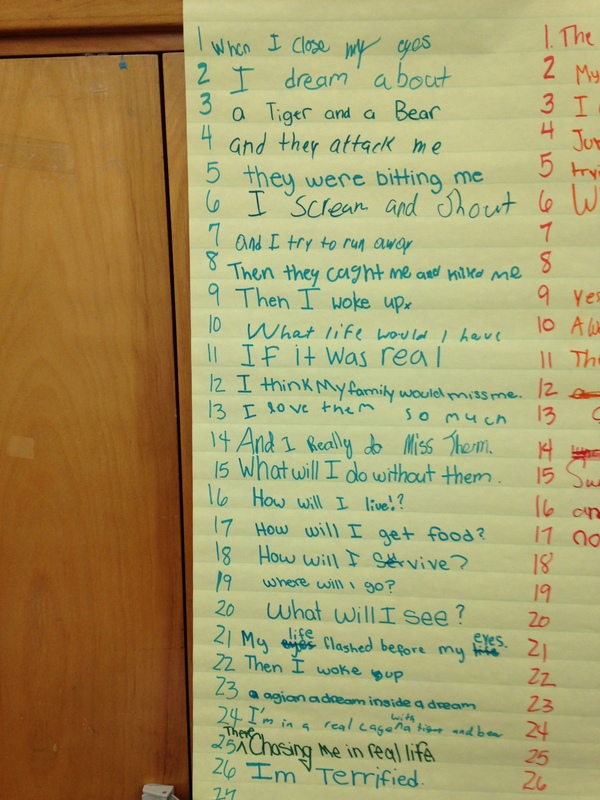 This speaks not only to the beauty and power of the book, but to the interactive read aloud teaching that went into it. This classroom, full of English language learners, remembers the shell the preacher was in, the litmus lozenges, the sadness and they are actively accessing it, two years later. This is a room of thinkers, of readers. 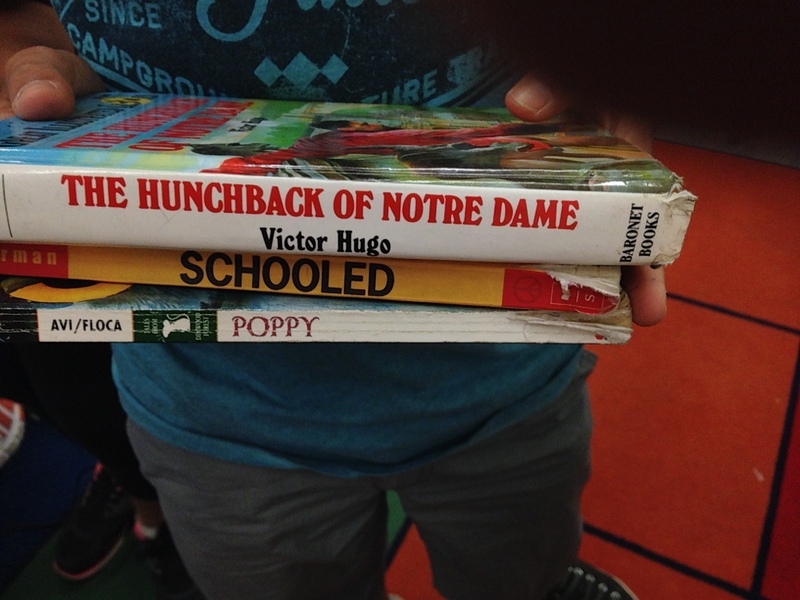 They are doing this because real literature was read, thought about, and experienced throughout their elementary school years. Today I celebrate amazing literature, the power of interactive read aloud across all grade levels, and my students who teach me so much. This week felt huge. Was Spring Break only a week ago? 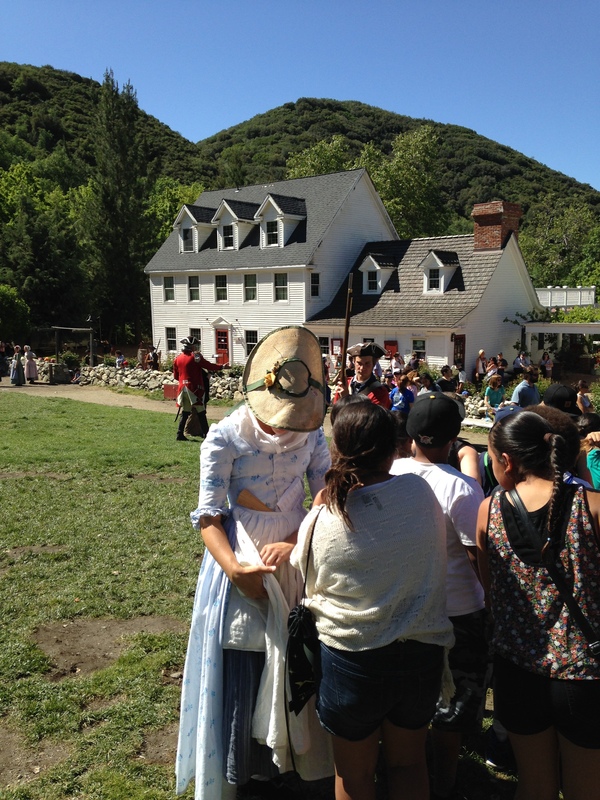 Every Saturday, Ruth Ayers hosts a place to celebrate the big and small things in our week. For me, it is a way to focus on and grow the good work that happens daily. To read more of these celebrations click here. We also attempted to a Progressive Poem. 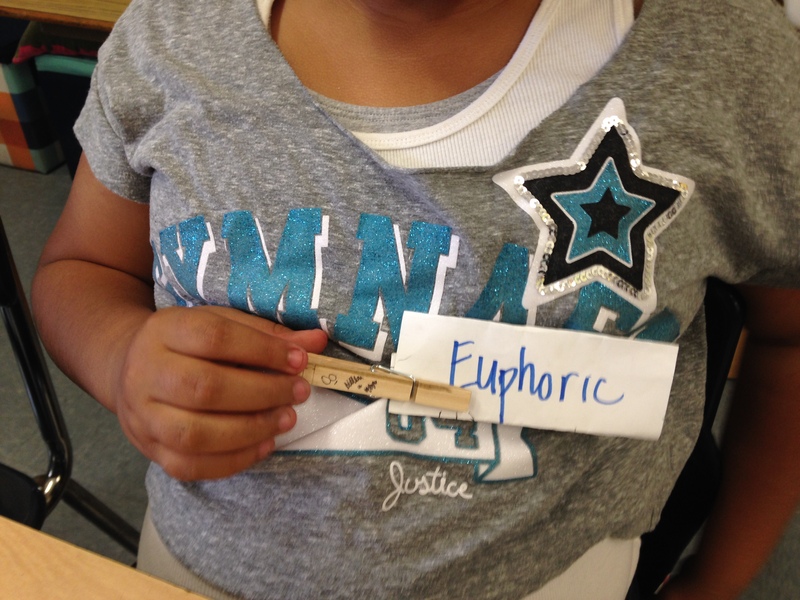 Each student has a number and they were to write a line when their number matched the date of the month. It was an interesting experiment. The poem started to go one way and then another and then back again. Interesting process. 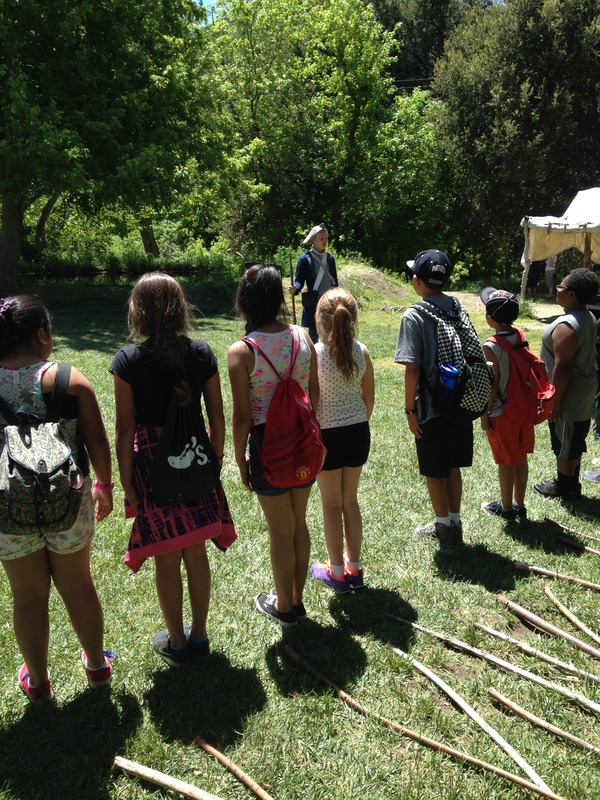 Each child trying to make sense of the lines that came before them. Now I’m wondering what will they title it? And now that they see what they did, I wonder what they might come up with next month. Next: Owning Vocabulary. We study vocabulary throughout the year based on our read alouds. I try to choose words that are used or are concepts addressed in the text. I try to select words that can be used with a fair amount of frequency in reading, writing and speaking. Over the course of the year we have amassed nearly 100 words. The trouble is, over time students forget the meaning of words that they don’t use enough. Looking to engage them in the words we’d accumulated, I took some of the ideas presented in Word Nerds by Brenda J. Overturf, Leslie H. Montgomery, Margot Holmes Smith that make words visible part of the student’s classroom life. 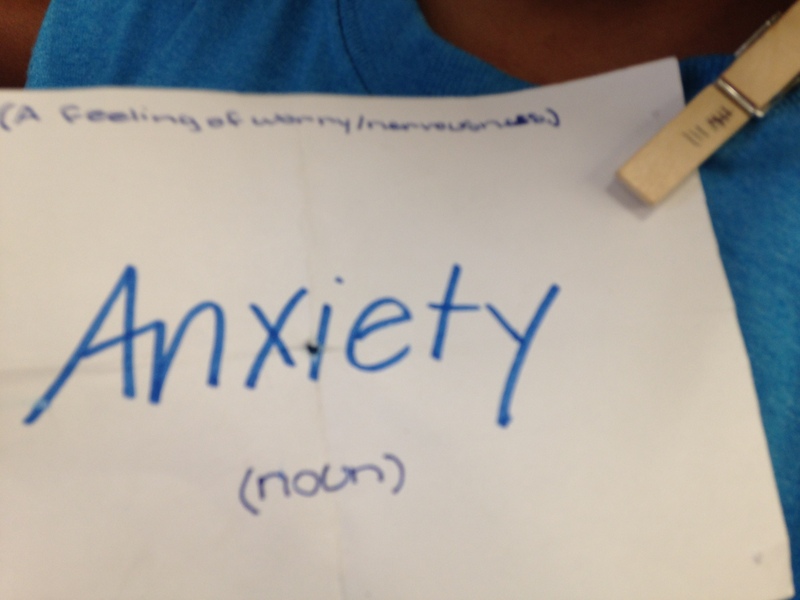 Every day this week each student got a word to wear . If they used it in conversation or in writing they gave themselves a point. If they used another student’s word they would also get a point. They could switch words once they felt they got it. The newness and gaming qualities did something to get them going. But, I think by simply putting it up front and visible made it top of mind. 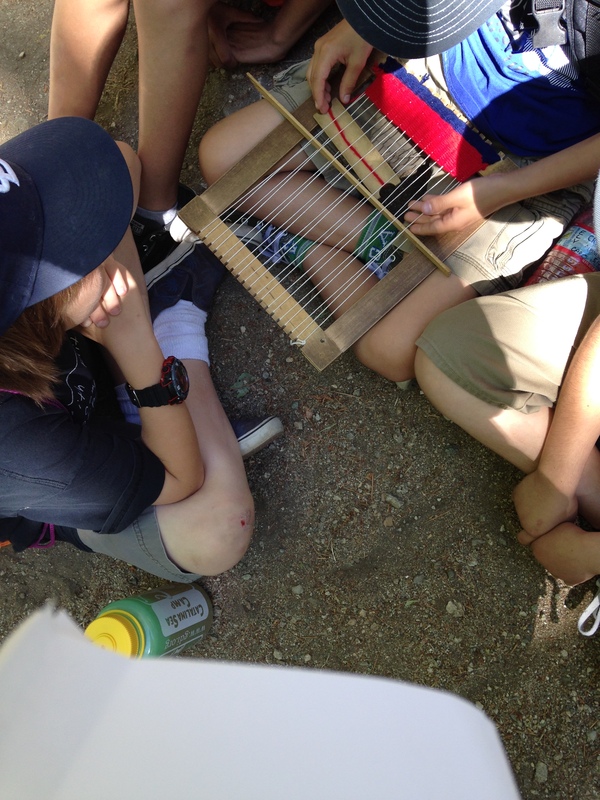 It gave permission to ask questions of their peers, to try it out and to try again. 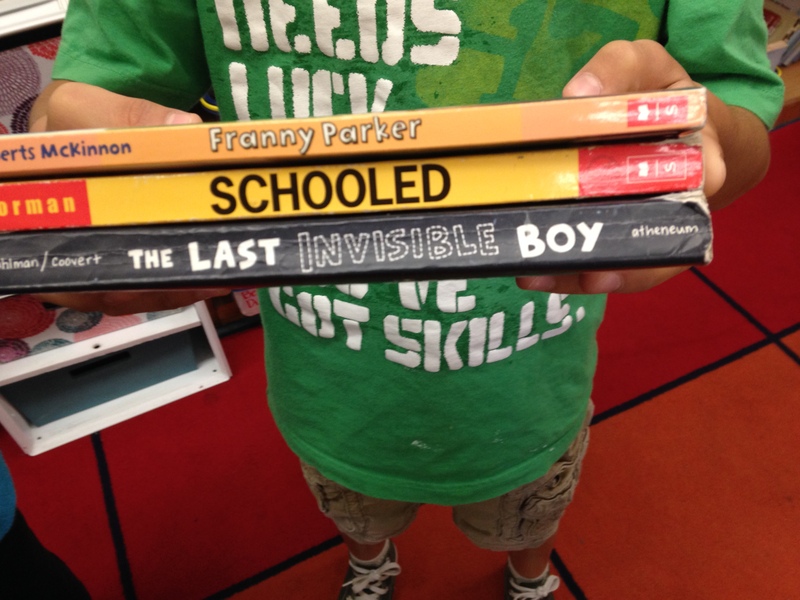 They wore their word to read aloud, to reading workshop, writing workshop and recess. I’m looking forward to continuing this practice-working on using what we have and developing some word ownership. Next: #WRRDchat: The twitter chat based on the book, What Readers Really Do by Vicki Vinton and Dorothy Barnhouse, was on Tuesday. Quite simply it rocked. Thanks to Ryan Scala, Fran McVeigh, and Allison Jackson hosting many like-mined groupies of the book shared their thoughts and reminders of what it means to be a teacher who listens and coaches in to student’s wondering. If you don’t own this book, get it. It is something that simply will change your teaching approach from the query-filled stance of the all knowing, to the listener and coach that pushes students to wonder about what they know in the text they are reading. It honors the student’s thinking without butting in with our own. It promotes the fact that all students will come to understand text if we give them the room and time to find it. It reminds us that we are all on the path to knowledge, some are just not there yet. Read Fran’s recent post on the power of yet and get some insight into the book and the chat. Next: The Cotsen Foundation. This year I have had the privilege of being a Cotsen fellow. This program promotes what the organization terms The Art of Teaching by looking to move teachers from good to great. Teachers can choose their focus and pursue that passion with support of a mentor coach (Michelle Baldonado @MrsBaldonado4 is mine) and access to many professional resources. Part of the beauty of this program is that teachers are valued as resources that should be cultivated and nurtured through mentoring, observations and inquiry. This foundation honors teachers. Read more about this program here. Next: Fellowship Inquiry Work: One part of this program includes inquiry work with other fellows at your school. Our monthly meeting is one of my favorite times. We meet with no interruptions, and talk about our challenges, successes, and a professional text. Our current read, Make Just One Change: Teach Students to Ask Their Own Questions, has got everyone excited. This book looks to move students to inquiry through their own questioning. Teachers create a question focus, not a question, and the students are taught a method to develop and prioritize questions from the focus statement. The focus can be determined in many ways, but it isn’t a question and it shouldn’t show teacher bias. The end product of content learning may vary based on need, but the universal end result, if done successfully, would be teaching students to question issues in a systematic way. If we choose to teach just one thing, the ability to question in a thoughtful manner, just might be the one. Here’s to the weekend and a wonder-filled week. My class has only 27 days left of school, but we have all the plates spinning. These fifth graders aren’t quite ready to leave their first school. It is like home, so I’m packing in as much as possible. Poetry writing is in full swing and in the exuberance of reading poetry, we were rather noisy while our neighbor classroom was testing. So we wrote the following first draft apology. It was inspired by This is Just to Say poetry anthology by Joyce Sidman inspired by the William Carlos Williams poem. I am here to report room 5 LOVES this. Yesterday they all went off to write their own poems of apology. This is just to say that this lesson was also inspired by TCRWP’s “What if Curriculum” in the 5th Grade Writing Units of Study. A wonderful little addition to the other main works on Argument, Narrative and Informational writing. So through and so wonderful. And why is it that I just want to keep going with my kiddos. Looking back it seems I always feel that I finally “get” them, by about this time every year, thinking — now we could really make some great progress. But they go, to someone else. 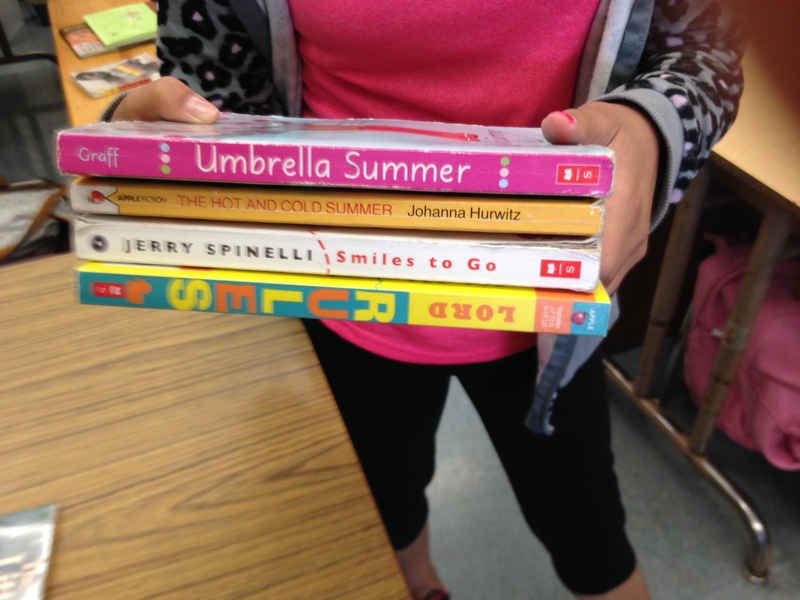 Every Tuesday writers share a Slice of Life with Two Writing Teachers. Please join in if you are so inclined. You can read more slices here. Thank you to Tara, Anna, Dana, Stacey, Betsy and Beth When it comes to reading and writing the steps toward understanding are complex and frustrating. As teachers we try to guide our students to discover words that make meaning on the page. We want to find joy and excitement in words. What they mean and how to use them; to understand why the writer choose that word. To use just the right words when talking, writing, thinking. We are always looking for the just the right formula to inspire our students to be passionate readers and writers. Complicated. How to access these words so they make meaning not just as we read but as we write? And not just reading the word in a sentence, not just using the word in writing, but understanding the specificity of that word. Knowing that that word and no other word is just the right word. Poetry seems to be one way to work toward all of these goals. 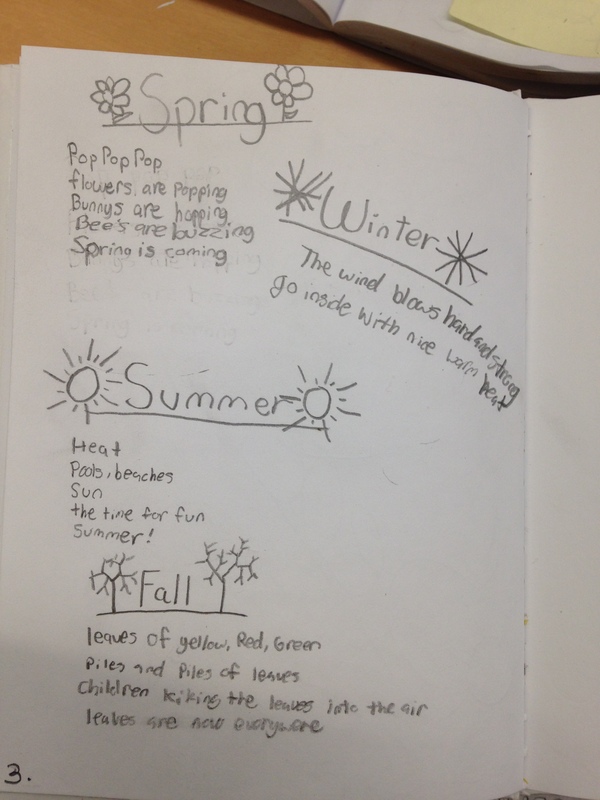 We have been reading poetry, one a week. Now we are going to write. Knowing this was my plan, knowing my students would be scared, knowing I felt the same, knowing I had to start somewhere, I started with forms that have constraints and rules. Those places I felt like I could be sure it was poetry because it “fit” a definition. Erasure felt safe as did found poetry, book spine poetry, haiku, tanka, cinquain all good. It was playing with words. Chris Lehman’s #teacherpoets workshop was a next step. It was a less safe place, but how could I not go: great lessons, great poems, amazing teacher poets all around. I pushed myself a bit further to that internal place where emotions lie. (silent scream) I listened, did the lesson, wrote a poem. 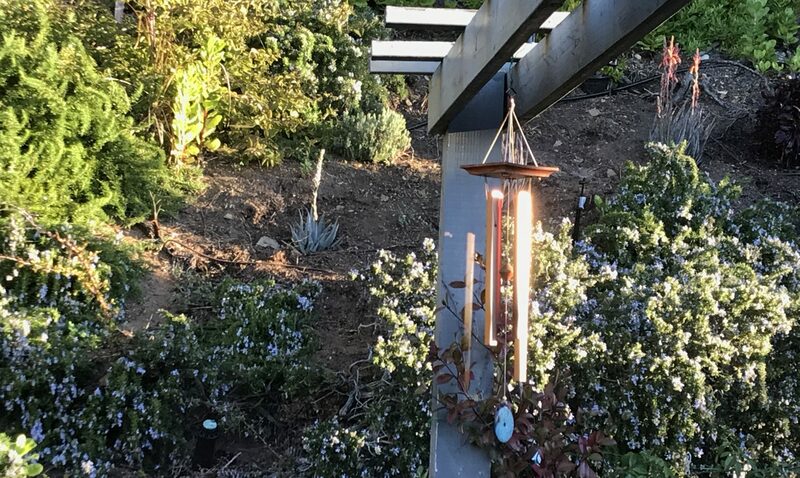 Your poem is the opposite of Laux’s “On the Back Porch” and it perfectly captures the bittersweet feelings we have as we realize our children are growing up and are ready to begin their own lives. I love this image of shifted furniture “leaving empty spaces uncovering indentations of what was there.” The perfect sliver to capture this big, important topic! To me, your poem speaks of our children growing up and we have to let go. Perhaps it is because that is exactly where I am right now. “Choices, that are no longer mine to make.” “Photo flash” of the times we’ve shared together. Oh the power of a comment. A comment that is a whole paragraph and specifically says what spoke to them. Revision is a painful process. You just want to throw it all away and say it’s just too hard and I’m really not that good anyway. But IF there is one little voice that says, no, don’t do that. This is good BECAUSE….The writer can rise again and pull out the writing. Taking this lesson to my teaching self and back to where I began this post: the secret formula, the gift we can give our students, might just lie in the compliment that is specific. The compliment that says just what is good and why. That plus a little nudge and maybe they won’t crumple up the paper and say they are not good. Maybe they’ll say, really? Open up the notebook and give it a go. Thank you Catherine and Cathy for your specific comments.on that poem. I’m working on it. And to all who comment on Slice of Life posts, I can’t thank you enough. You are my writing teachers that keep me opening up my notebook. It’s Saturday! A day to find moments in our week worth celebrating. Join Ruth Ayers and others here. One. Spring Break! I always think breaks are when I will catch up. I may finish up and clean up a few things, but I tend to start things too: projects and thinking that can leave me feeling like I actually got behind! Strange as this may seem, I celebrate the opportunity breaks give me to find more. Two. Teachers. One day this week I visited Tim Bedley’s 5th grade classroom. I follow him on twitter and was intrigued with his work. I knew he was geographically close, so I contacted him asking if I might observe his class. He generously opened his room to me. That act of trust shows so much. I walked out of his classroom with ideas to process, but more importantly uplifted by his willingness to welcome me into his world. I celebrate the spirit of educators who share, show, and teach by doing. Three. Social Media. The other day one of my colleagues mentioned how I seemed more at peace with my teaching, and he wondered might have caused this. Twitter and blogs I told him. He just looked at me, completely blank. He has no idea. How could he? Not being a participant in this world he just can’t understand. Before social media, the only voices I heard were in my school and mostly at my grade level. Now the voices are from many places and my thinking is pushed, yet at the same time supported. I don’t feel alone anymore. I celebrate all of you out there who have opened my world of teaching, writing and reading. Four. My colleague Amy. I am the one at my grade level who tends to push for something more or different. This could be a real pain. But my colleague Amy not only goes with it, she makes it better. Just yesterday (a day off), we met to talk about our next challenge. Is this the best use of our time? Is is the best thing for kids? Difficult to think this way when you only have seven weeks left in the school year. But we sat down and for the next few hours we wrestled with possibilities. I love this about my colleague Amy. I celebrate her energy and openness. Five. #TeacherPoets. This is the first year I’ve really embraced poetry. Today’s Teacher Poet Google hangout with Chris Lehman was inspirational. Check out the link, view the videos, and join in on the next two sessions. My hat’s off to Michelle Haseltine and Betsy Hubbard. To hear them read and workshop their poems in this virtual writing world was brave and beautiful. I am honored to be a part of this process and I secretly hope to have a poem workshopped–some day. I celebrate all of us who work at poetry leaving our emotions on the page, looking closely, living in specifics, and describing things as best as we possibly can. Last Saturday I watched the Teacher Poet Google hangout with Chris Lehman and some brave teacher poets. I sat and watched hours after the initial broadcast, and did the lesson. I watched. Stopped the video. Listened again.What a great way to learn. 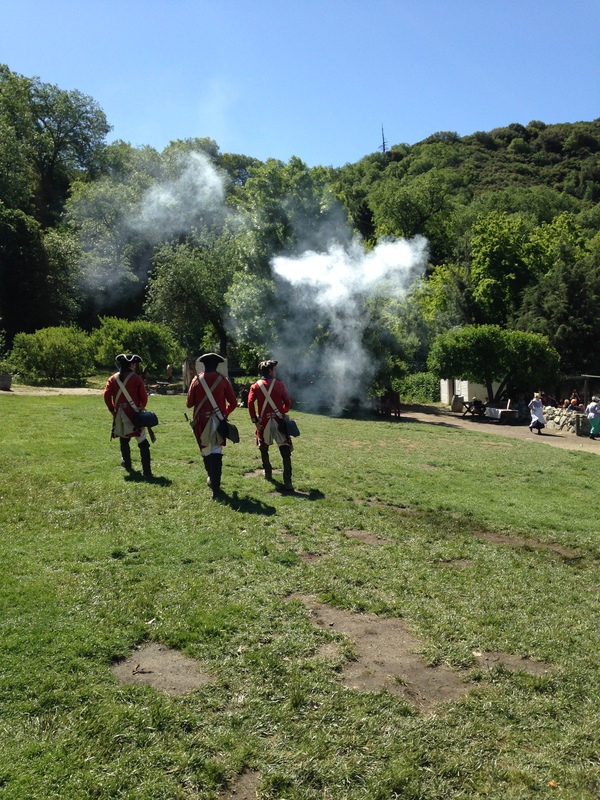 Check out last week’s work and this week’s assignment here and join Chris this Saturday for a great workshop experience. 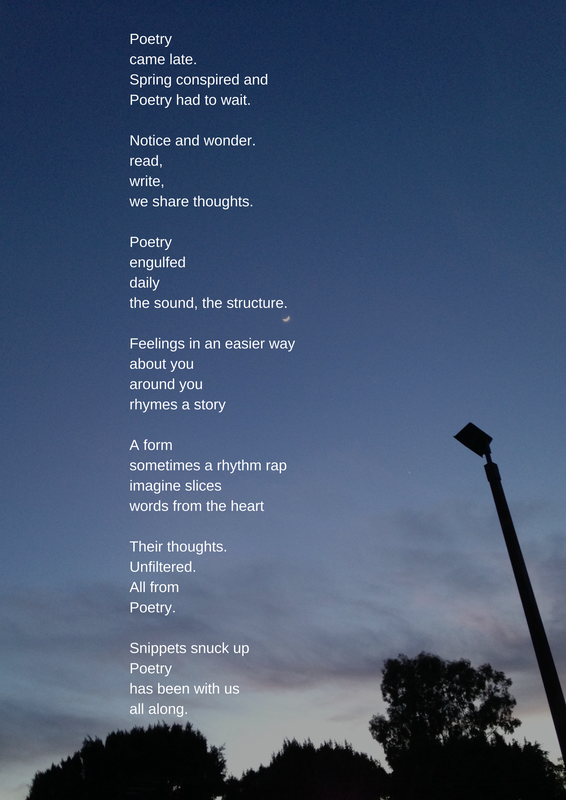 Writing and the workshop is helping me define what poetry is for m now. It is something that pulls at my heart; it crystalizes the essence; it highlights what’s necessary and worth holding on to. I tried out Week #1’s strategy of finding a sliver in a big important topic. A really terrific strategy for any kind of writing. This is a draft and I’m not sure of the title. The door opens and cool air, the cat, and noise rush in. Sounds move past and fill the kitchen. Bursting, until it leaves quiet. towards choices,that are no longer mine to make. it’s no longer my decision where and how to place the pieces. The furniture shifted leaving empty spaces uncovering indentations of what was there. Children no longer, they’re out the door, a photo flash resides in their place. Thank you fellow poet bloggers who are reaching for more in their lives and in their teaching. It’s nice to journey together. Check Leigh Anne, Michelle, Margaret, Kevin, Mary Lee, and Cathy’s blogs for more poetry inspiration. It’s Monday. First day of Spring Break. I’m making lists. A big part of me wants to do a whole lot of nothing. I battle with myself over being productive and being lazy. Something in between the two has always been difficult for me. Writing a list poem on a post makes it a bit less random, more thought out, less likely to be lost, than it would be on a post it. For more fun with list poems see Amy Ludwig VanDerwater’s The Poetry Farm and Ken Nesbitt’s Poetry4kids. Glad I’m playing with poetry! Thank you fellow poet bloggers who are reaching for more in their lives and in their teaching. It’s nice to journey together. Check Leigh Anne, Michelle, Margaret, Kevin, Mary Lee, and Cathy’s blogs for more poetry inspiration. Driving home today from Trader Joe’s, the ocean rose up and struck me. It takes your breath away. All my life I have lived near this ocean. I am grounded in it. While it can be wild, it has the power to calm me. Maybe there is something to its name. On Wednesday, I will be going to Catalina Island with my fifth grade class. Crossing that 26-mile expanse can be cold and rough. It is a channel that large container ships pass through. It is deep and filled with the wonders of the ocean. I am awed by it. I respect it. To honor that deep blue, majestic expanse, I tried tanka poetry. In the Japanese tradition, a tanka poem follows the pattern of 5-7-5-7-7. Read more about tanka poetry here. Interestingly it was often written as a gift and one inspired by love. I think that is a fitting form for my feelings about the Pacific. smooth sand, then a stinging smack!